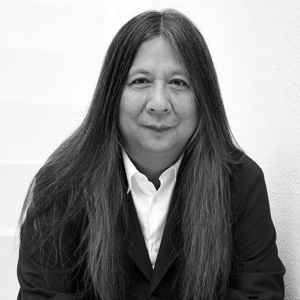 John Rocha was born in Hong Kong in 1953 and is a fashion, home and accessories designer best known for his minimalist style. Rocha moved to London in the 1970's to study fashion and now lives in Dublin with his wife, business partner and muse Odette with whom he has three children. Rocha also collects contemporary art and vintage cars and has a passion for fly- fishing. In 1993, the British Fashion Awards awarded Rocha with the Designer of the Year award. While fashion remains John Rocha's first love, he continues to expand his portfolio of work and to explore ever-new areas of creativity and design. This includes designing a range of crystal stemware and vases for Waterford Crystal in 1997 and various interior and architectural projects, including a hotel in the South of France. Rocha was awarded a CBE for his contribution to the fashion industry in 2002. In 2014 Rocha announced his retirement from London Fashion Week. Rocha's first appearance in London Fashion Week was back in 1985. Rocha holds two honorary Doctorates, from the University of Ulster at Queens and University College for the Creative Arts, Epsom.